Forensic anthropologist Matt Lowell and Massachusetts State Police Trooper Leigh Abbott are called in to investigate burned remains following a fire in a historic antique shop. 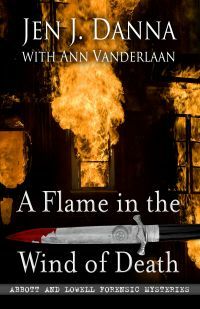 Clues point to Salem's traditional Witchcraft community, but when a second body is found in a similar fire and the team begins to suspect that coven members are being framed. Now they must solve the murders before 100,000 tourists overrun Salem for what could be the deadliest Halloween of their lives.